As a Client Service Manager on the Halls Dorn Team, Melissa Emerson works to provide clients with the exceptional service that they expect and deserve. Finding solutions to client’s financial complexities is something that Melissa not only enjoys but thrives on. She’s a problem solver by nature and finds that solving problems for clients not only provides them with relief and a sense of security but also is the ultimate reward in her career. 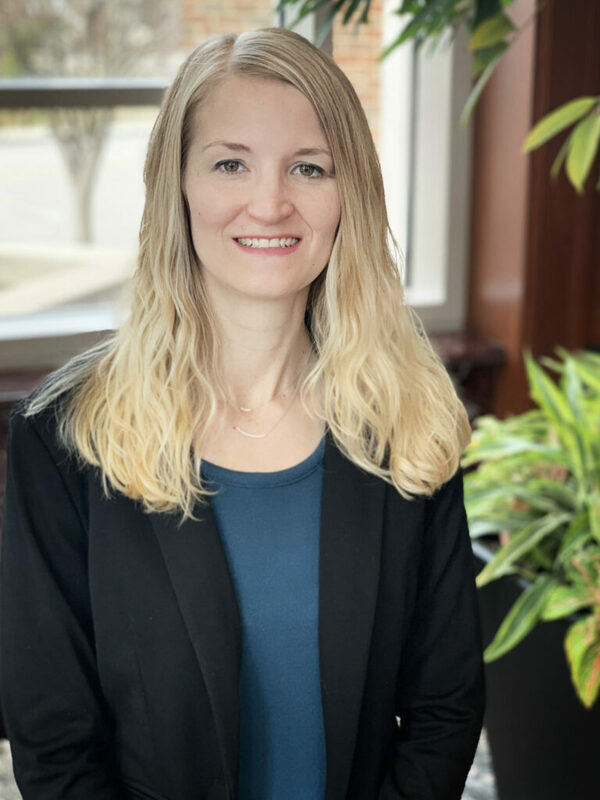 Before joining Moneta in 2008, Melissa spent a few short months at another financial advising firm, however, knew early on that it wasn’t going to be a good fit based on their standard of client care. Looking back, she sees that time as a learning experience that gave her an even deeper appreciation for her team’s commitment to delivering ‘Raving Fan’ service and acting only in the best interests of their clients. Melissa also delivers this same ‘Raving Fan’ service in her time spent working with Moneta Momentum, Moneta’s corps of community volunteers. Melissa’s time outside of Moneta is spent with friends and family alongside her husband, Andrew, their son, James, and their two dogs, Gary and Lola. As native St. Louisians and Mizzou Alumni, it’s no surprise that one of their favorite things to do together is root for their favorite home teams.